Trae Patton/NBCSeason 15 of The Voice will kick off later this month, but Season 16 just got a new coach. 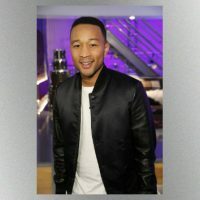 Fresh from winning an Emmy for producing NBC’s Jesus Christ Superstar, John Legend has announced that he’ll be sitting in one of the spinning chairs this spring. He’ll be joined by returning coaches Adam Levine, Blake Shelton and Kelly Clarkson. As a coach on The Voice, John will be able to tempt contestants to join his team by bragging that he’s one of only 15 people in history who’s an EGOT: An Emmy, Grammy, Oscar and Tony-winner. In 2015, John won an Oscar for co-writing the song “Glory” for the movie Selma. He won a Tony in 2017 for producing a revival August Wilson‘s play Jitney. He’s also picked up 10 Grammys over the years. Season 15’s coach lineup includes Blake, Adam, Kelly and Jennifer Hudson. It gets underway September 24.